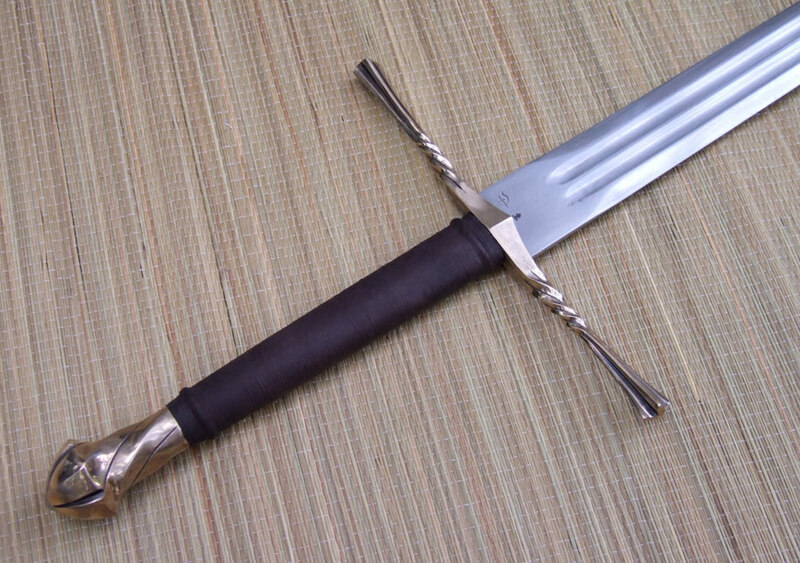 This prototype was built on a refinished blade from the Albion moat sale. The blade came to me already heat treaded and rusty. 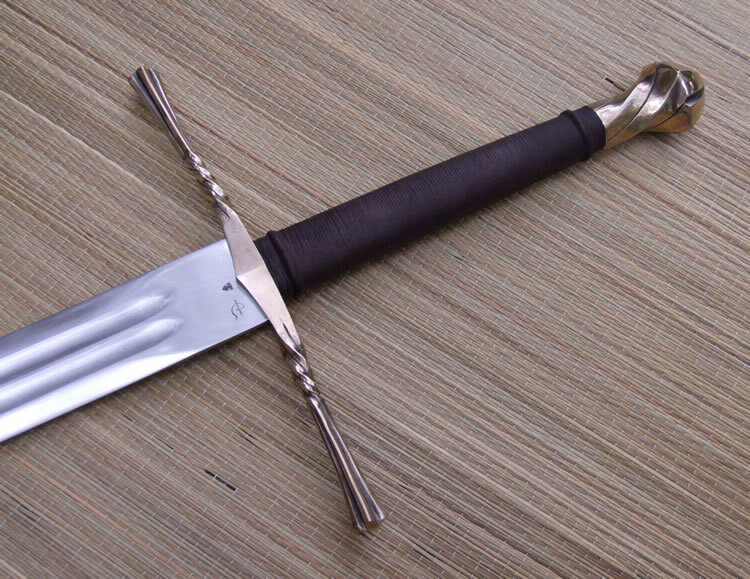 The blade is sharpened and has the Albion mark on one side and the DelTin mark on the other, apparently a blade that was made for Albion by Deltin. 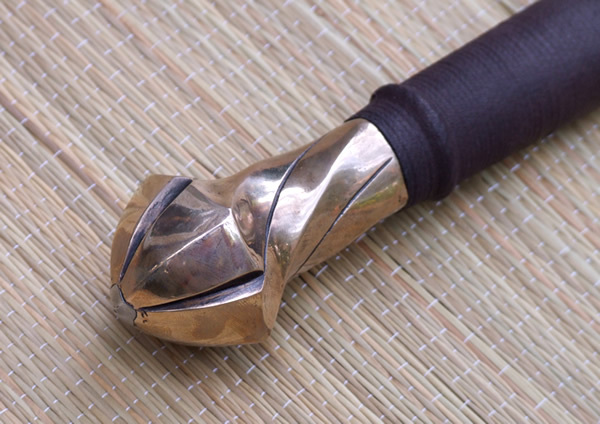 The pommel and guard are bronze. The cross is backpeened to the tang and the pommel is hot peened as well as backpeened. The grip has a wood core with a cotton cord wrap and risers with a leather overwrap. 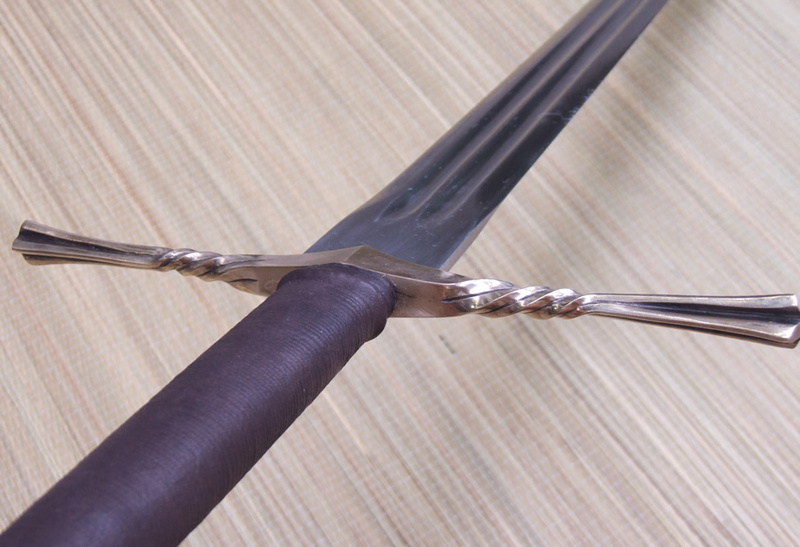 This prototype sword is not available for. A new version could be made for $2700.